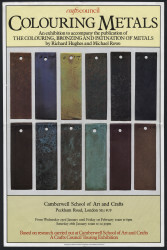 Leaflet and order form for the 1982 publication 'The Colouring, Bronzing and Patination of Metals' by Richard Hughes and Michael Rowe. 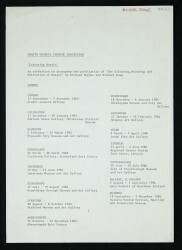 The centre spread of this leaflet includes information about the authors and their research presented in this publication. There is also an order form to request copies of the publication from Crafts Council Publications. 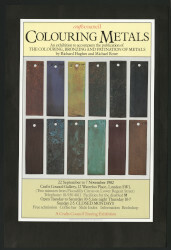 The leaflet is printed in colour and includes reproductions of illustrations from the publication.